The Ministry of Education has launched a National Last Mile Campaign that that seeks to trace 130,000 students who are yet to join Form 1. 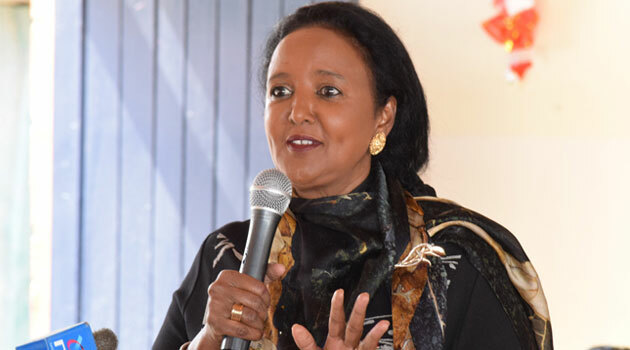 The one-week long campaign was launched on Thursday at Parklands Arya Girls Secondary School by the Education Cabinet Secretary Amina Mohamed. Mohamed said her ministry has already realized 87 percent enrollment nationwide and it is now gearing up to ensure a 100 percent form one transition. Some 33 counties have already recorded transition rate above 80 percent, the minimum standard that the ministry expects at this point as schools finish the process of uploading their admission details. Murang’a County was listed the top in enrollment at 97 percent with Tana River County coming last at 59 percent. “The Ministry is concerned about the enrollment rate in six Counties below 70%. These are Mombasa, Lamu, Kwale, Samburu, Isiolo and Tana River. This low enrollment rate is unacceptable at this point in the transition process. These ‘special’ counties will therefore be the Ministry’s point of first intensive focus,” Mohamed said. She further stated that from the NEMIS data, some 640 candidates had voluntarily opted to repeat standard 8 while 2, 299 have joined vocational training. However, the CS raised concern saying class 8 leavers are too young to join training institutions affirming that they are only expected to join secondary school. According to the CS, a rapid analysis of the reasons for the failure to hit the 100 per cent admission mark shows that there have been challenges arising from teenage pregnancies, early marriages, insecurity, inhibitive cultural practices, indirect costs of secondary education and extreme poverty in households, especially in arid and semi-arid areas which need to be addressed. Last year during the national examinations, a high number of candidates became mothers. The CS warned that the county could face crisis if teen pregnancies were to become a norm all year round. The government has however emphasized on back to school integration after birth.